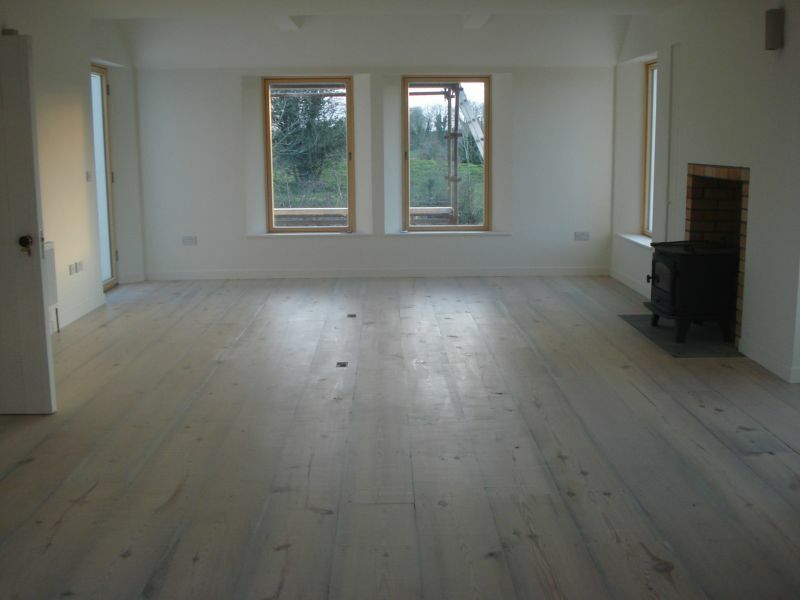 Designed by Architect Georg Petersill and built by Oak Barn Construction. 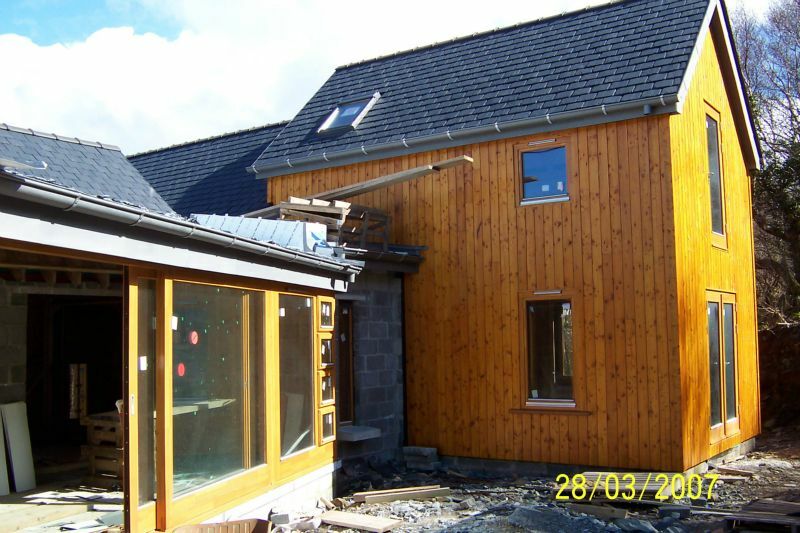 Split level, incorporating timber frame/stick build construction, with mixed media exterior of local stone, render and timber clad. 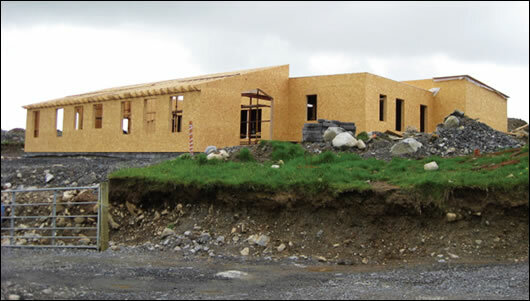 Rear of house set into an embankment, incorporating a sod roof to minimize the overall impact on the environment. 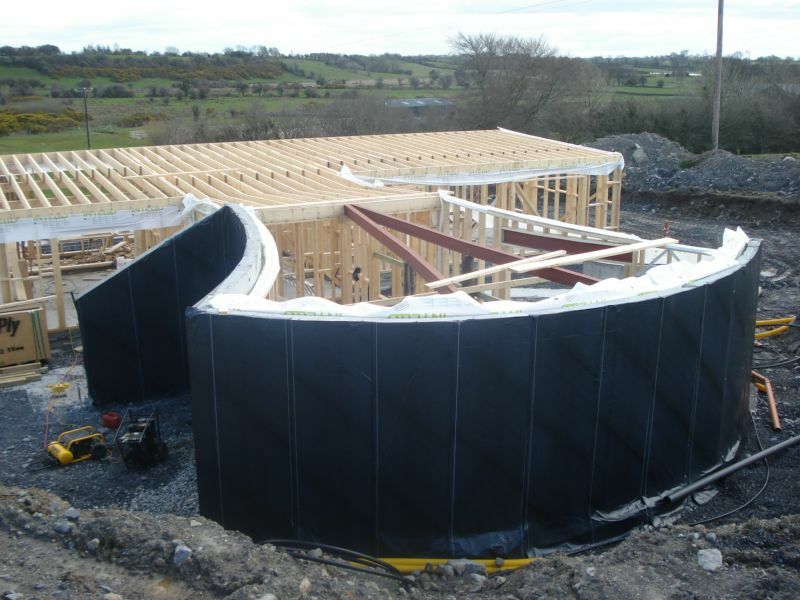 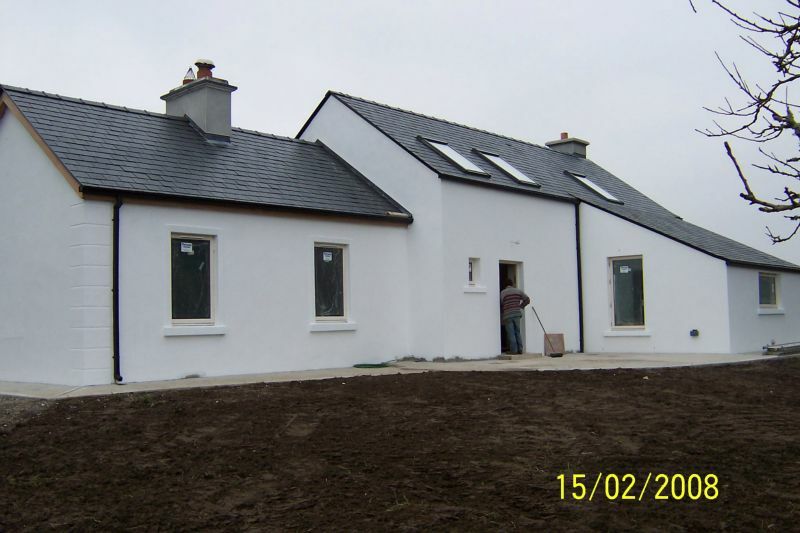 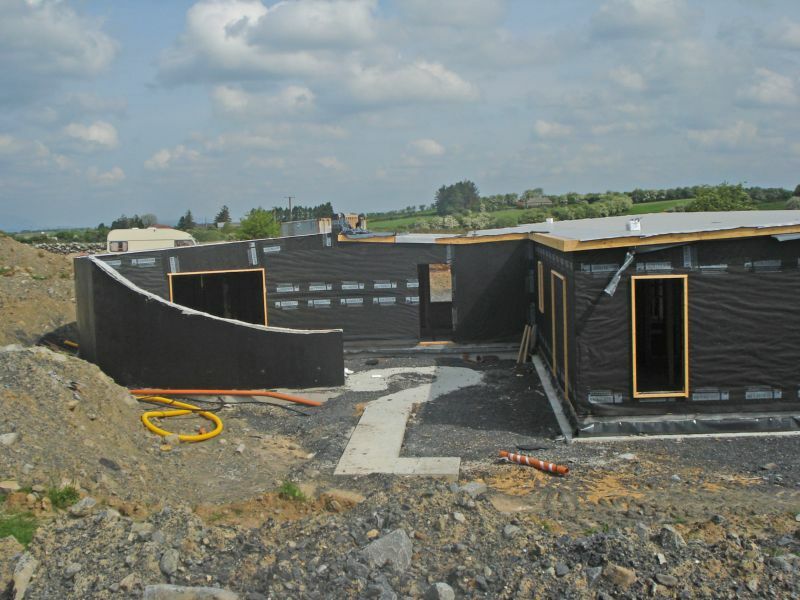 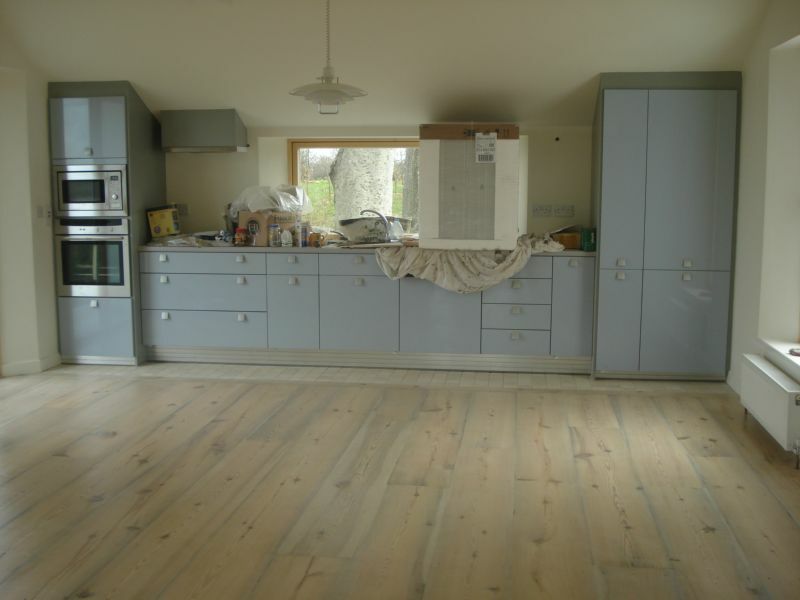 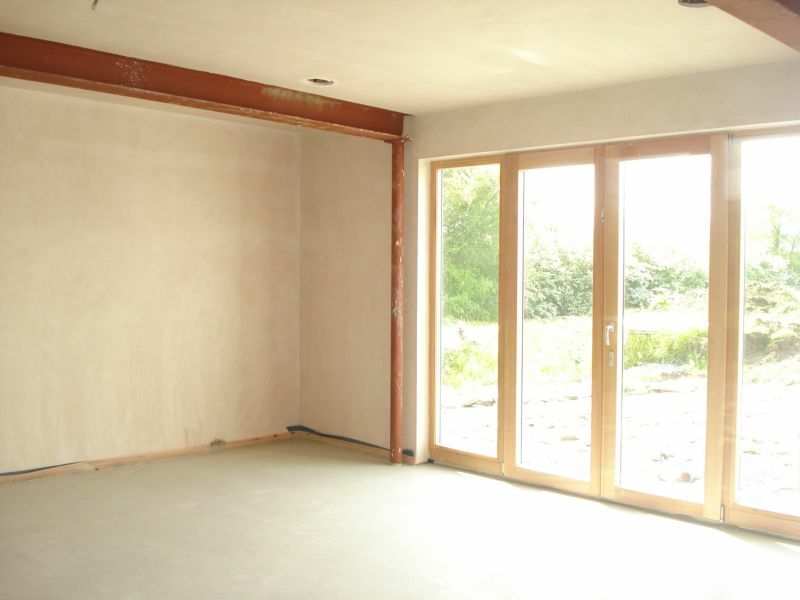 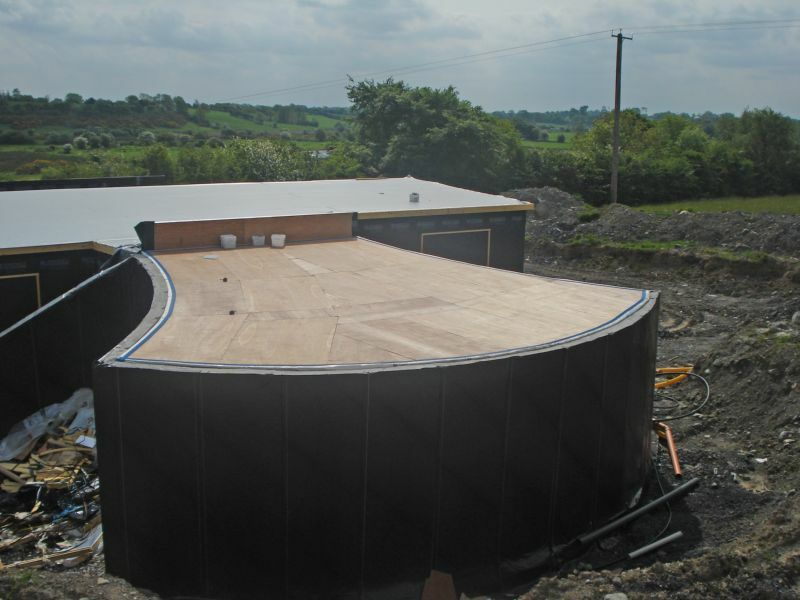 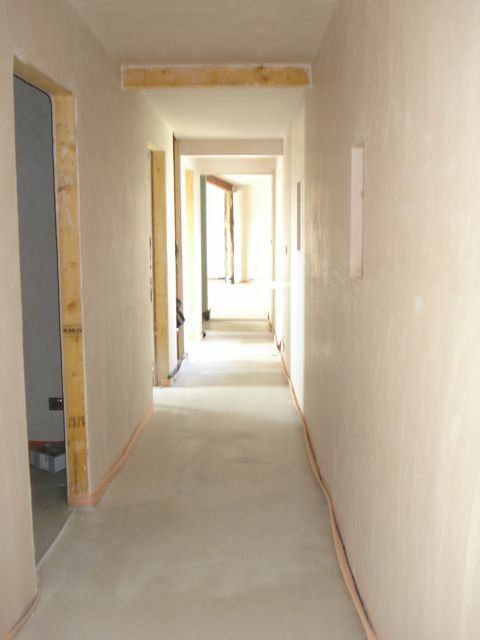 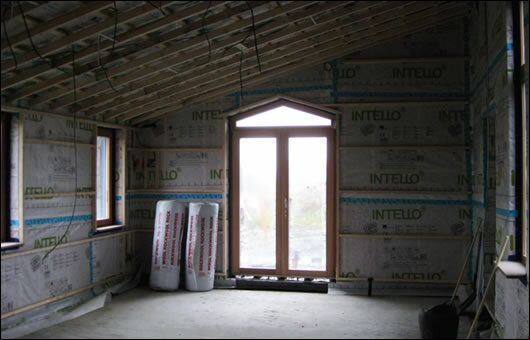 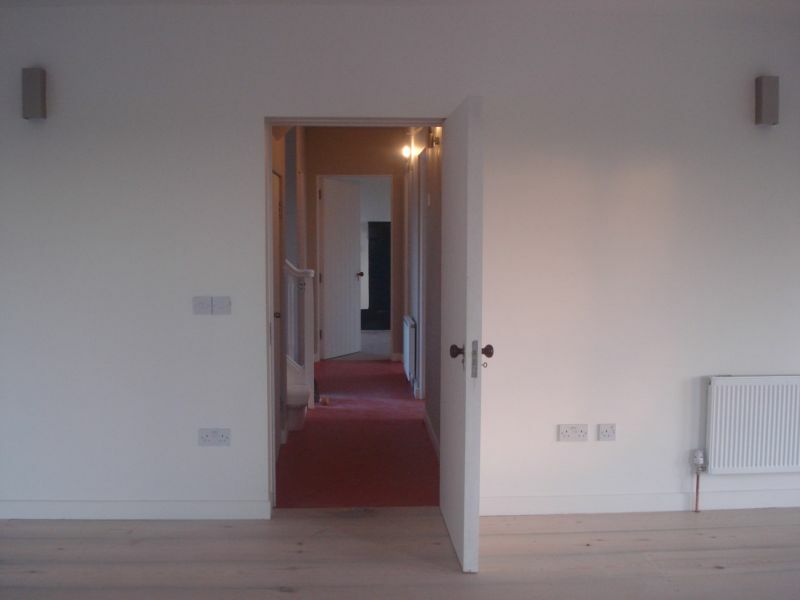 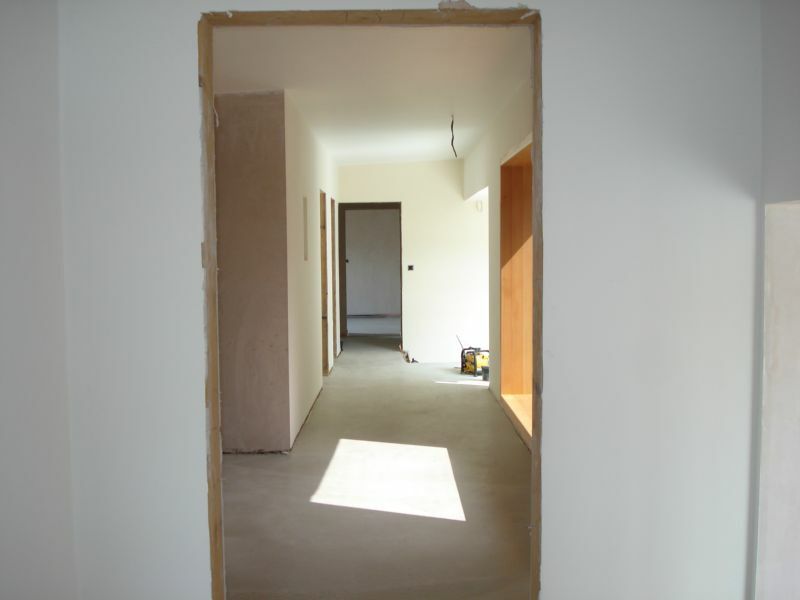 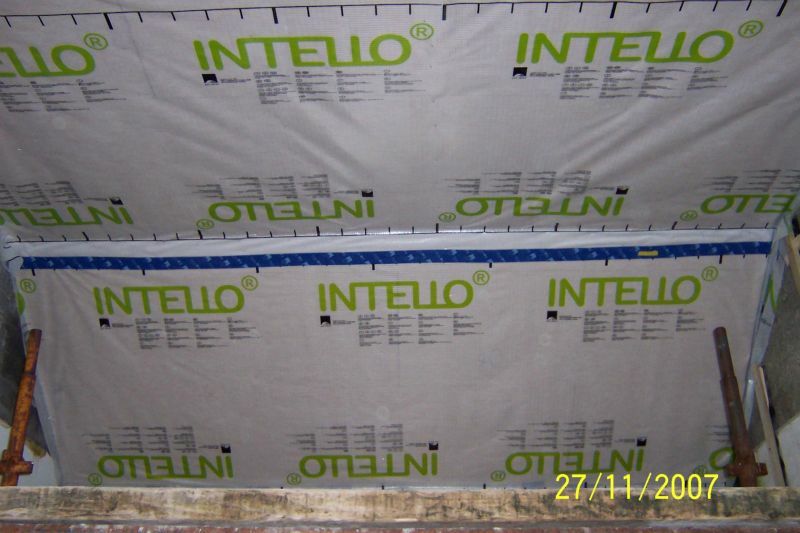 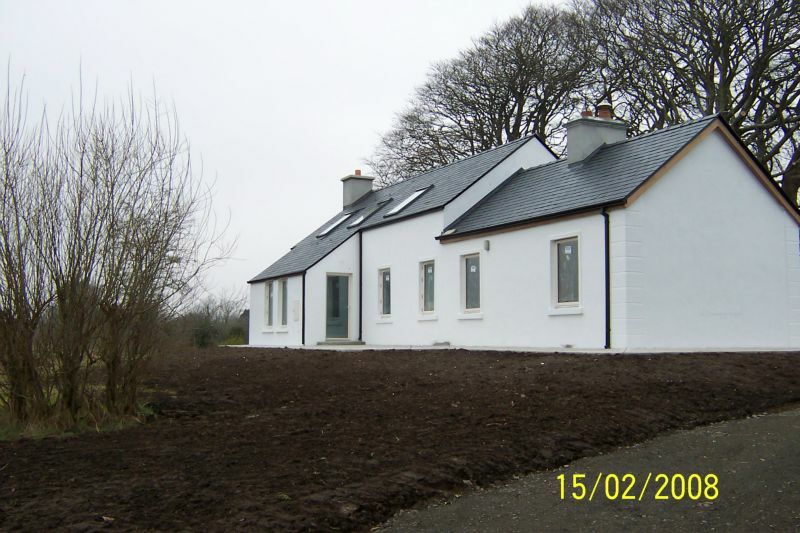 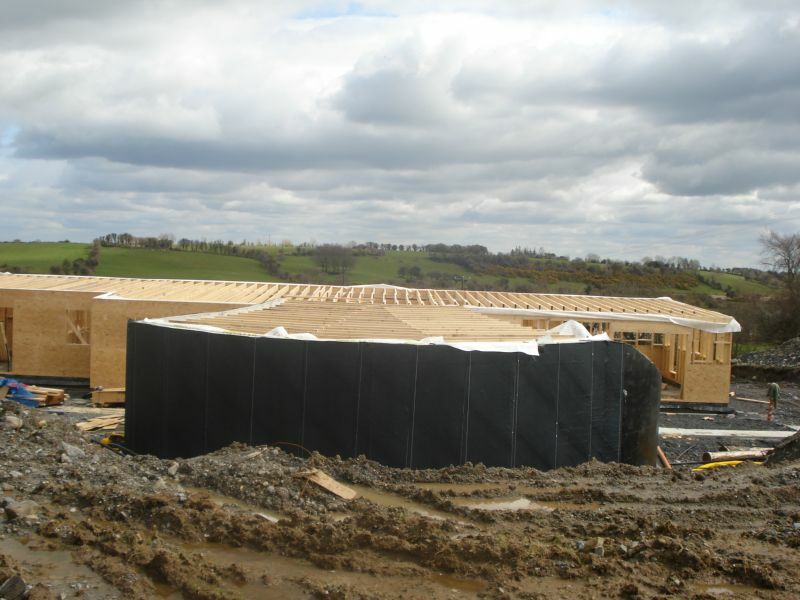 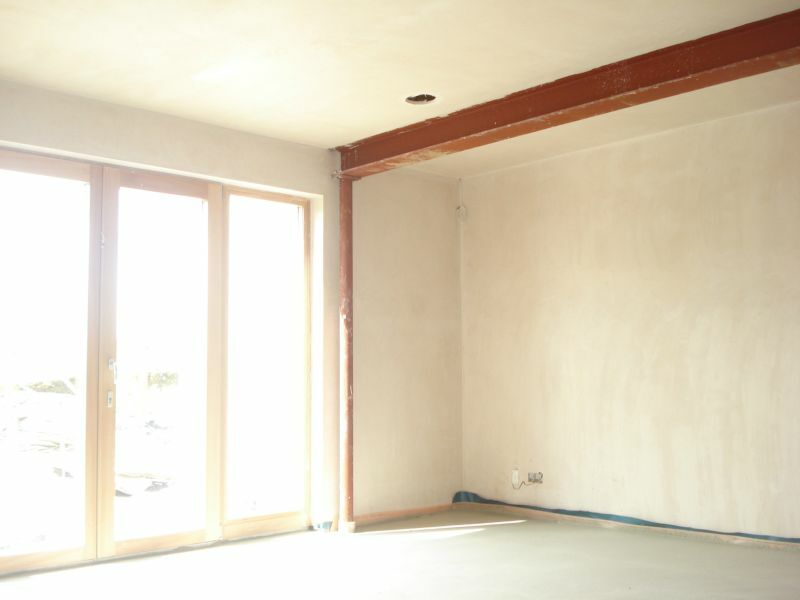 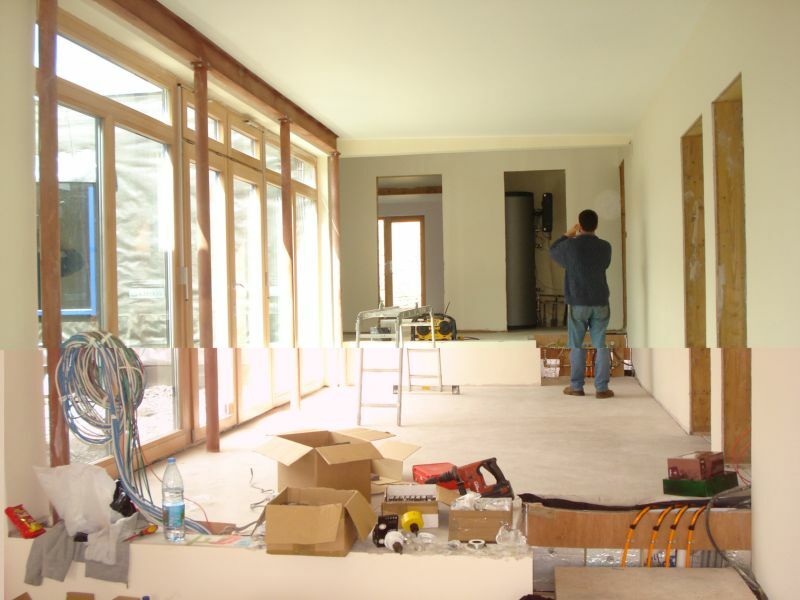 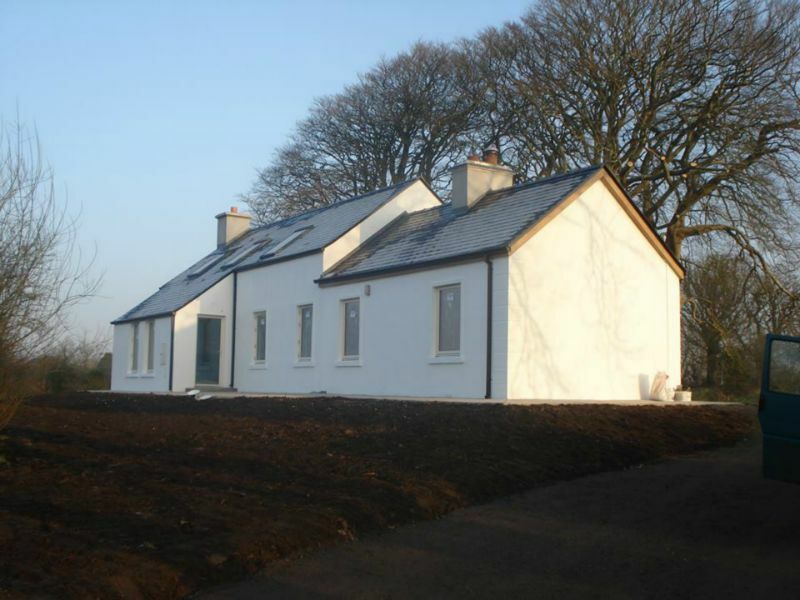 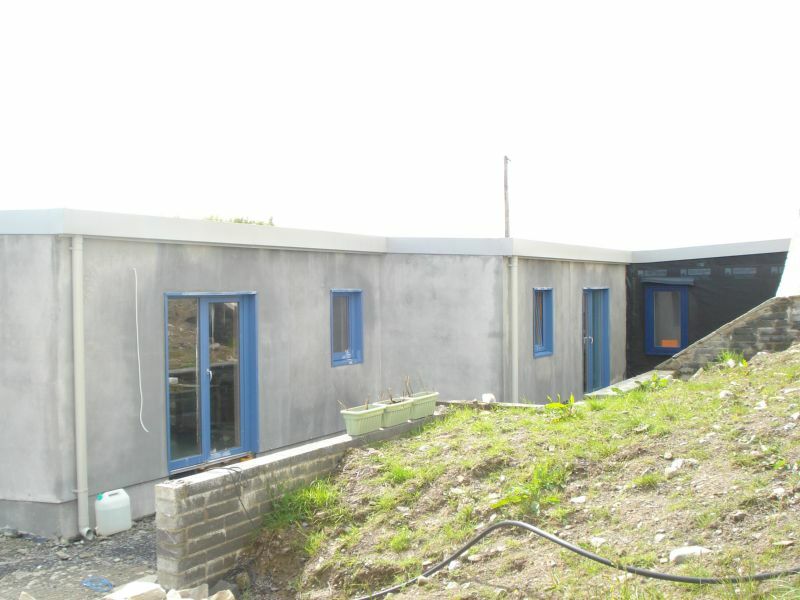 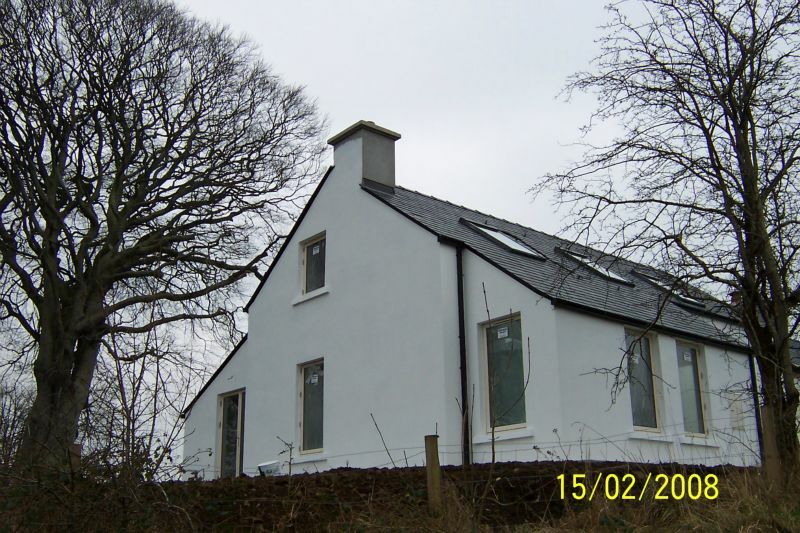 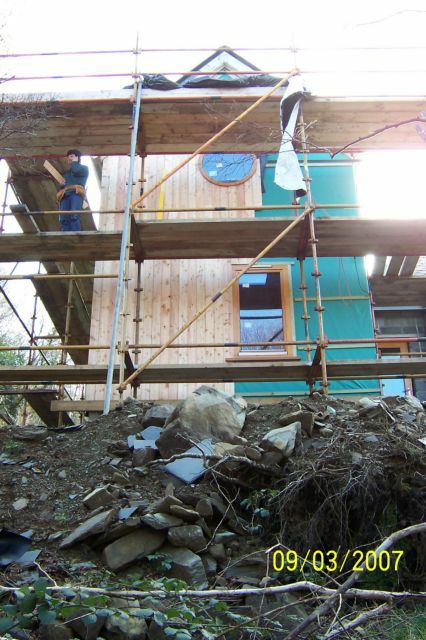 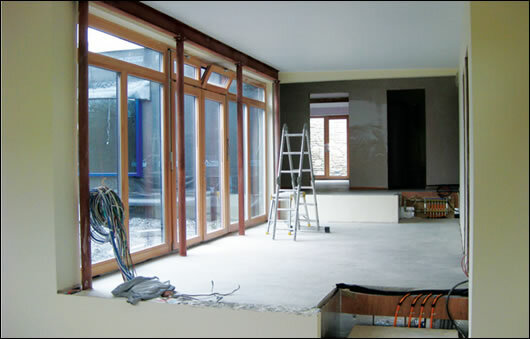 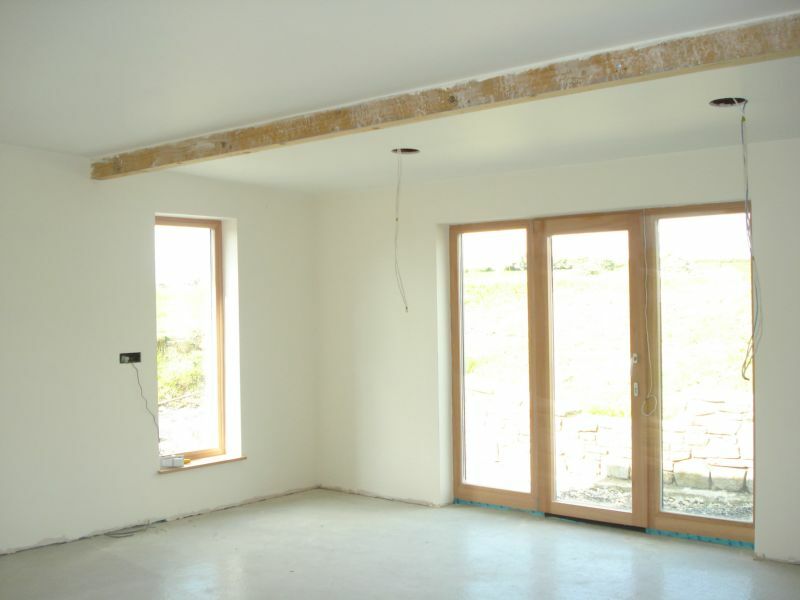 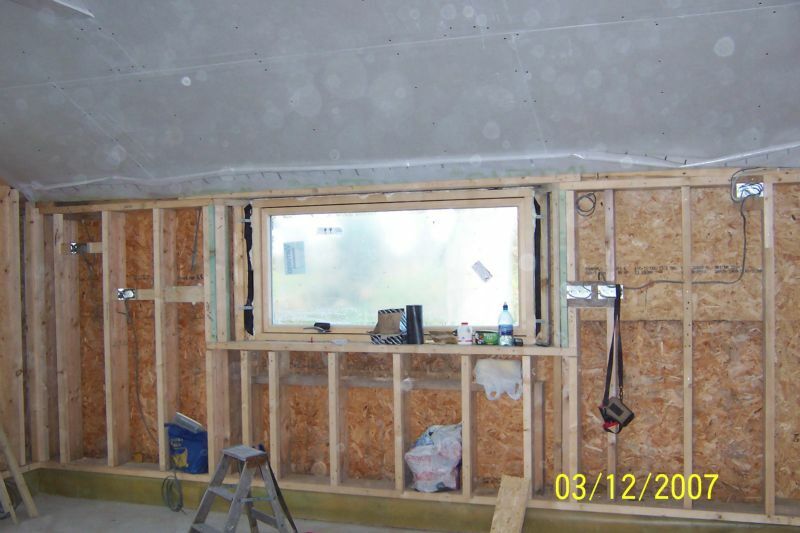 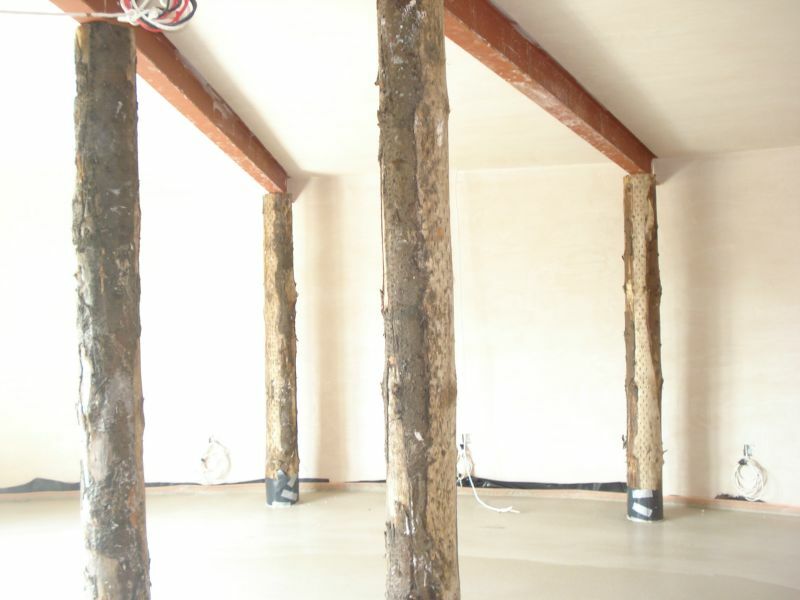 Hemp and Homatherm insulation supplied by Ecological Building Systems. 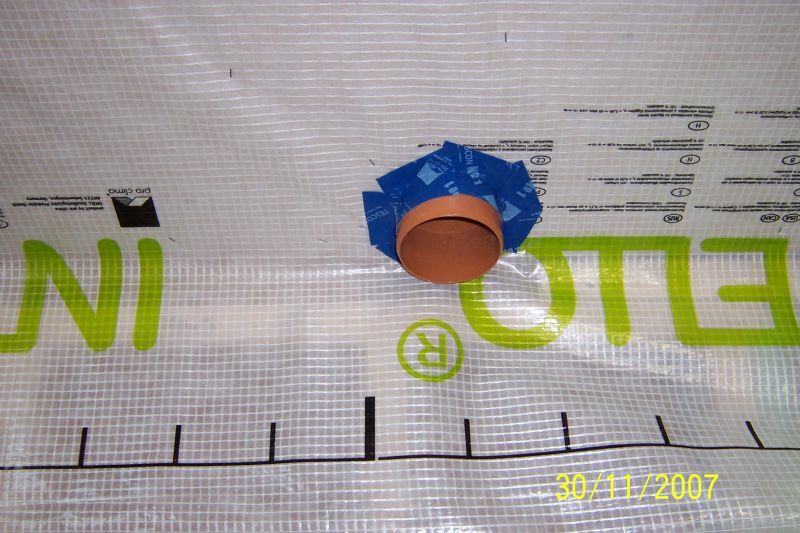 Air tightness achieved 0.7 (just outside passive). 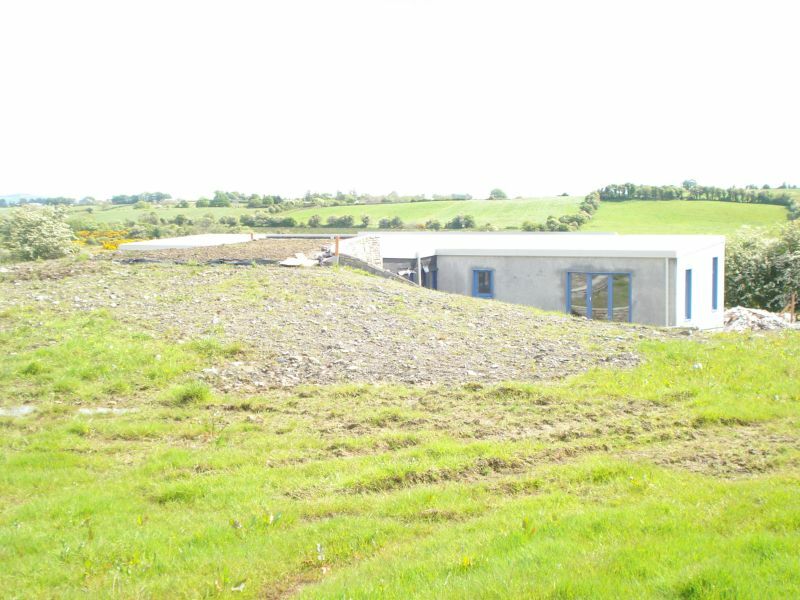 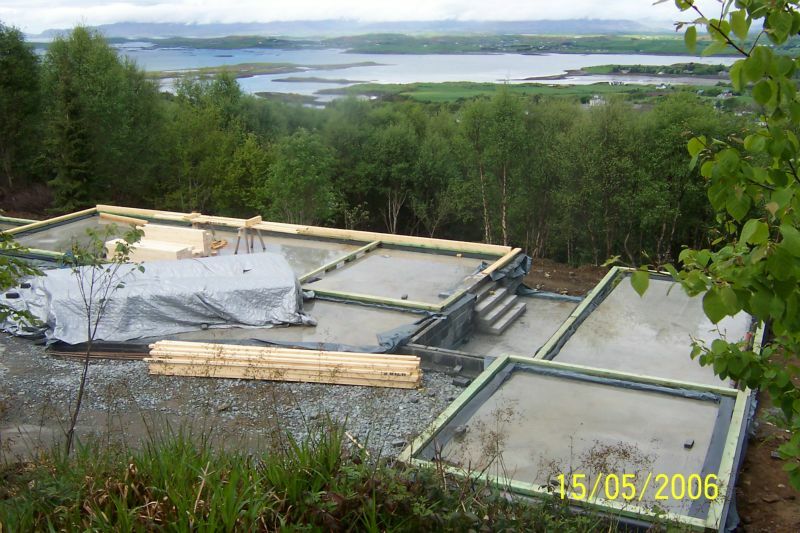 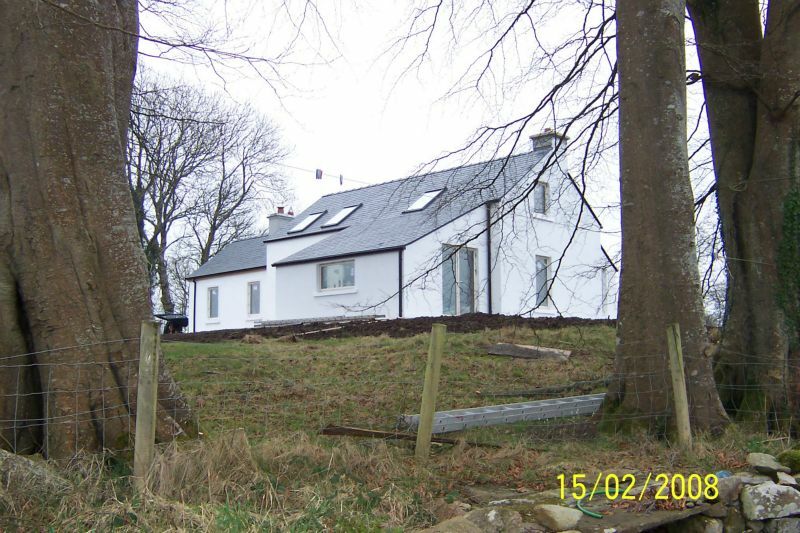 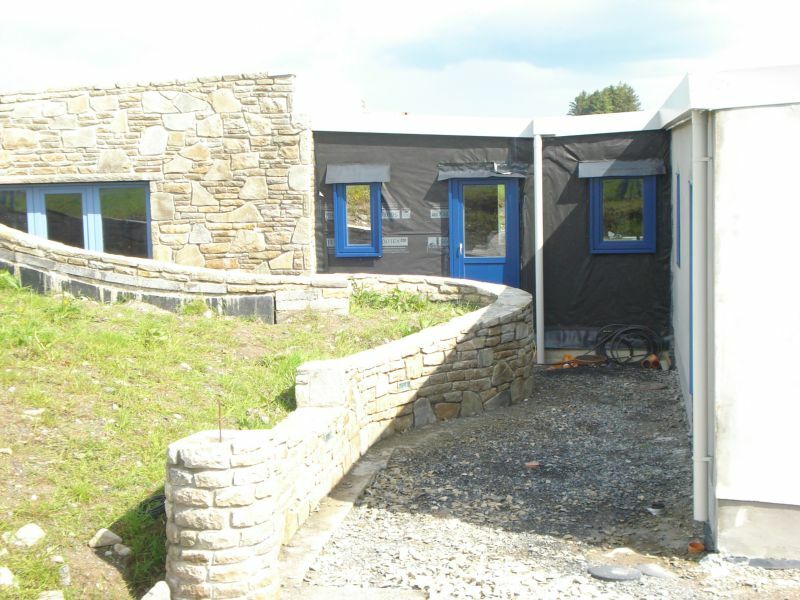 Designed by Architect Siobhan McCarthy, overlooking Clew Bay on split level site. 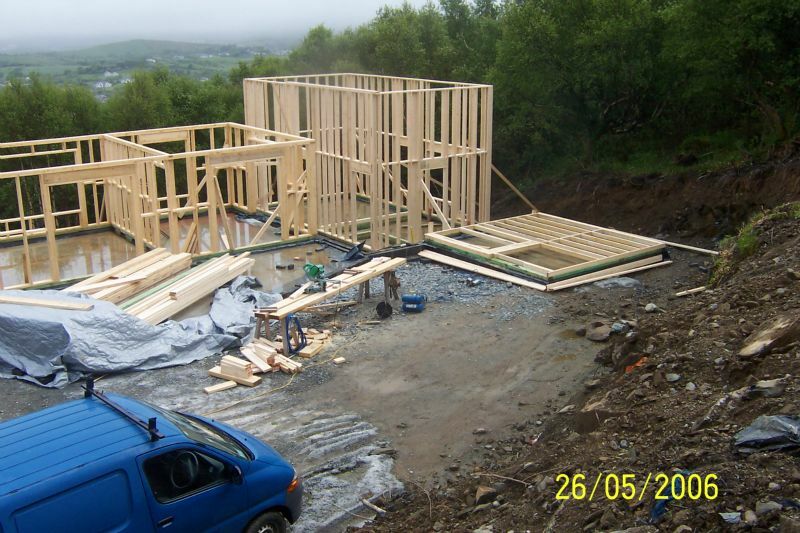 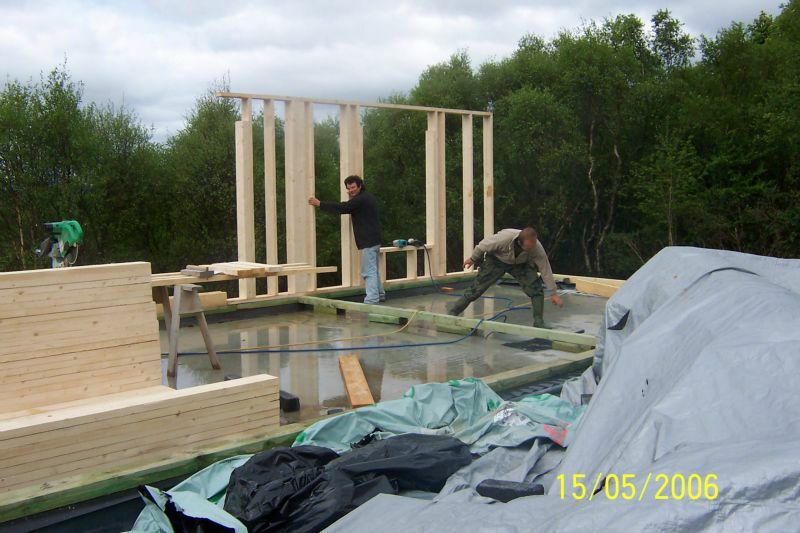 Timber frame/stick build construction with a mixture of stone. 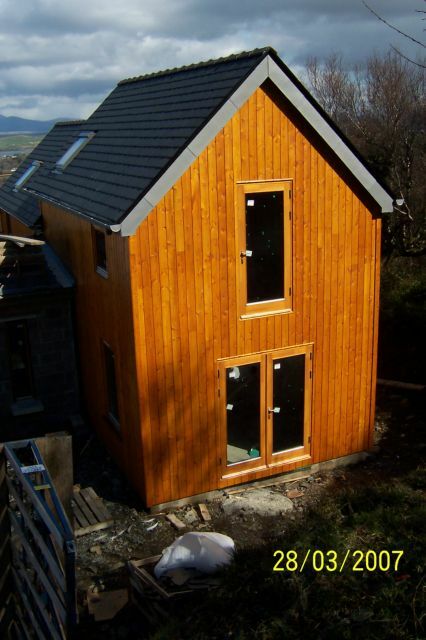 Render and Larch timber Cladding with natural slate and zinc roof. 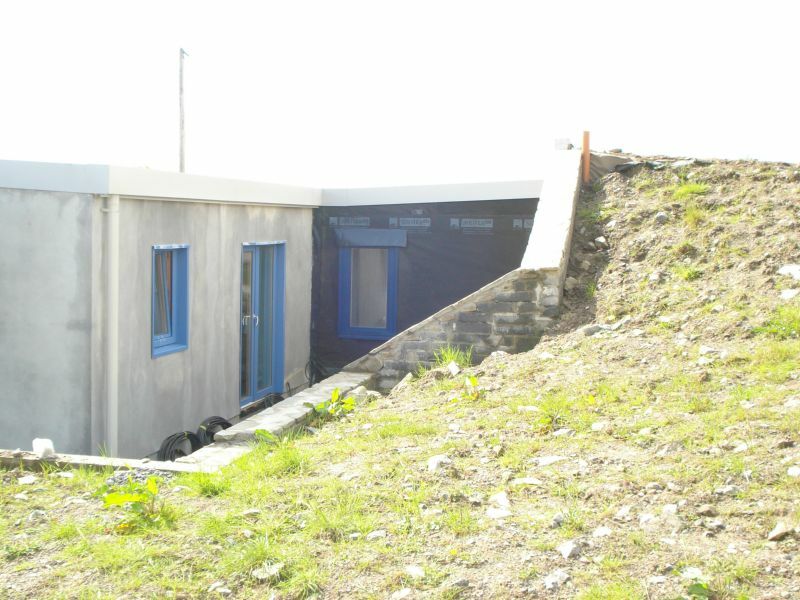 Designed by Architect Cuala McGann (McGann Scahill Architects), comprising Extension/renovation/upgrade to a 1930s mass concrete cottage. 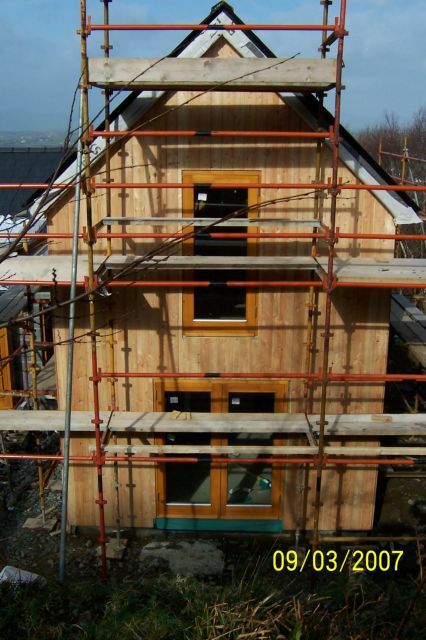 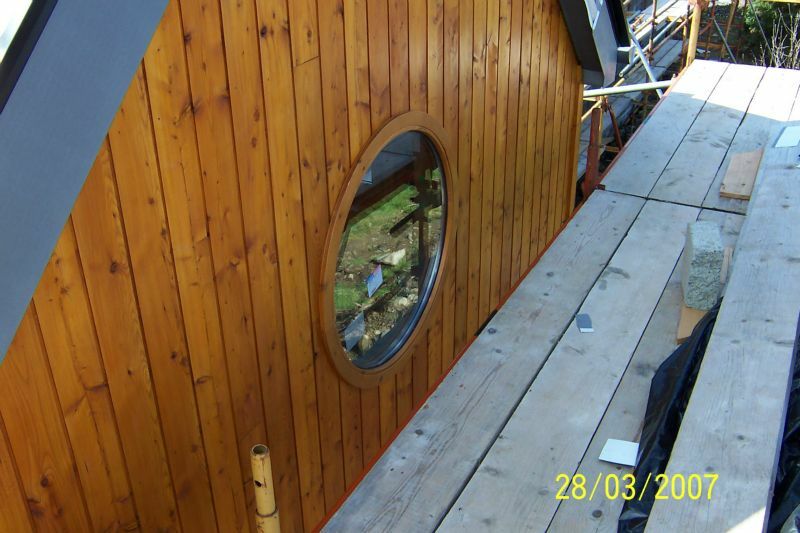 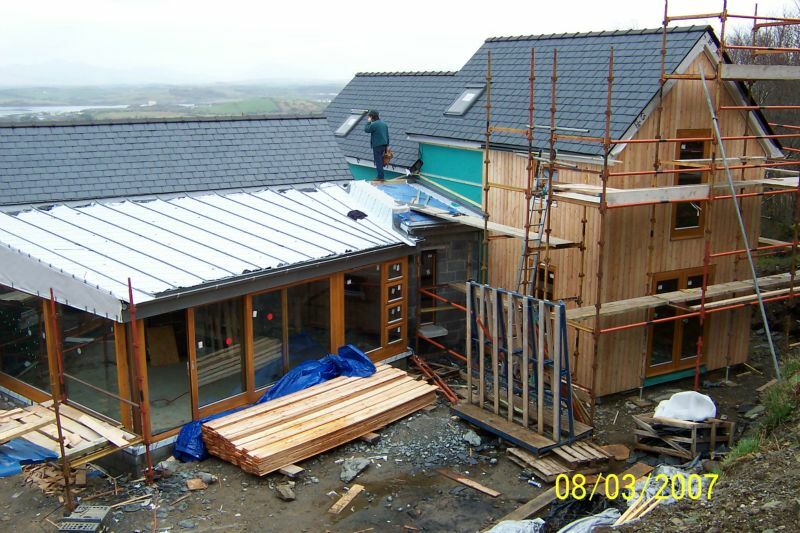 A two storey extension with timber frame living quarters, incorporating hemp, homatherm and holzflex insulation, with Pro Clima breathter membrane and tape for air tightness.